Bishop Noll swept its series against Calumet Tuesday afternoon, defeating the Warriors by a final score of 17-0. Senior, Antonio DeCrescenzo, had a dominate performance on the mound for Noll, allowing only two hits and no walks while striking out 11 in five innings of work to preserve the shutout. He also led the way at the plate for BNI, going 2-for-4 with 3 RBI’s. Hunter Laurincik (junior) and Jeff Miller (senior) both went 1-for-2 with a double and one RBI a piece. Senior, Tyler Stailey, also went 1-for-2 with a double and picked up two RBI’s. 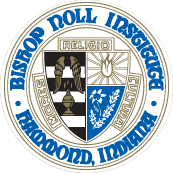 Bishop Noll has won three of its last four games and will look to keep the momentum going on Wednesday afternoon when the Warriors travel to Merrillville to take on rival Andrean High School. First pitch set for 4:30 p.m.